Editor’s Note: In the weeks leading up to the new year, please help us remember 2018 at the Imperial & Global Forum by checking out the past year’s 10 most popular posts. Len Puttnam, Men of K6 shortly after disembarking at Marseille, January 1940. Imperial War Museum F2016. It’s been a year now since Christopher Nolan’s film Dunkirk was released to critical acclaim, public approval and criticism. 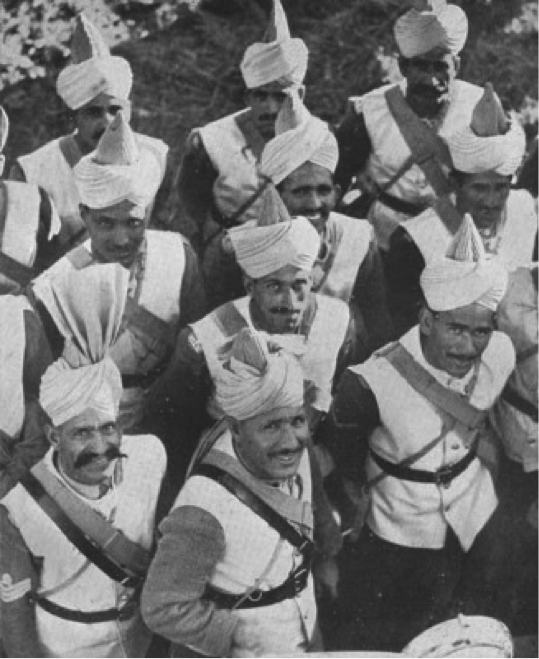 Much of the criticism arose because the film omitted any mention of the Commonwealth troops who were in the British Expeditionary Force (BEF) and at Dunkirk. It felt like a missed opportunity to correct an anomaly in the collective memory of Britain and the world: to remember the mule drivers of the Royal Indian Army Service Corps (RIASC) who were also on those beaches. So here’s the missing piece of the story, derived from my research into Dunkirk’s Indian soldiers. On May 29, 1940, in the middle of the evacuation of Dunkirk, with thousands of British soldiers lined up on the beaches east of the French town, with a giant pall of smoke from the burning oil refinery, with regular sorties by Luftwaffe planes scattering the queues, and with ships large and small taking men off the beaches, Major Mohammed Akbar Khan of the RIASC marched four miles along the beach at the head of 312 Muslim Indians, en route from Punjab to Pirbright.